Google has touched and changed a lot of things positively in the Technology World, no wonder they are the Giant and controller of the Internet today. Almost any service you need to use on the Internet will always get Google involved. 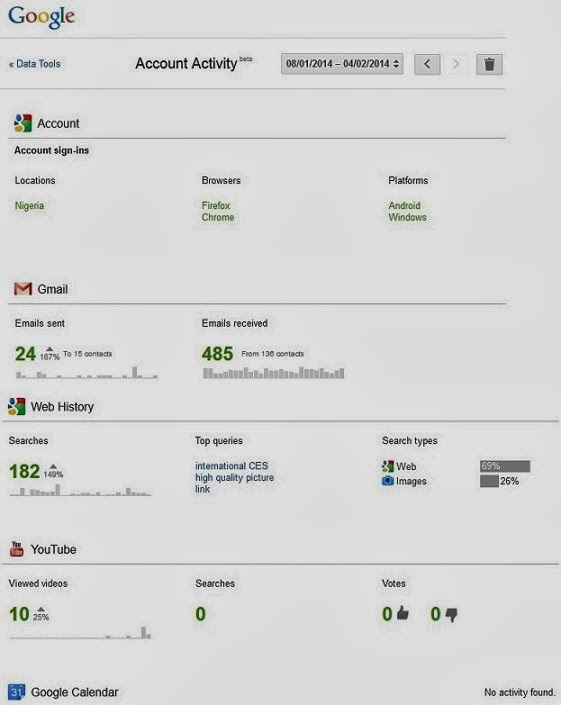 The largest & most used Search Engine is Google.Com, the largest online video sharing website is YouTube, GMail is another email service already outrunning other email services, Google+ is a very important Social Network behind Facebook and Twitter, the most used mobile OS in the world is Android. All the services mentioned above belongs to Google, just think of anything technological, i bet you Google will be involved either directly or indirectly. If you have a Google account then you will probably find yourself using one or more of the Google services; be it GMail, YouTube, Android, Google Search etc. To keep track of how and what you use your Google Account for, Google is keeping records of which of their services you are using, how you are using them and what you are using them for. For example, you can check the number of emails you've sent and receive in a month, the number of videos you've watched on YouTube within a week, the numbers of Google Searches you've made in a year and the keywords you used in those search etc. 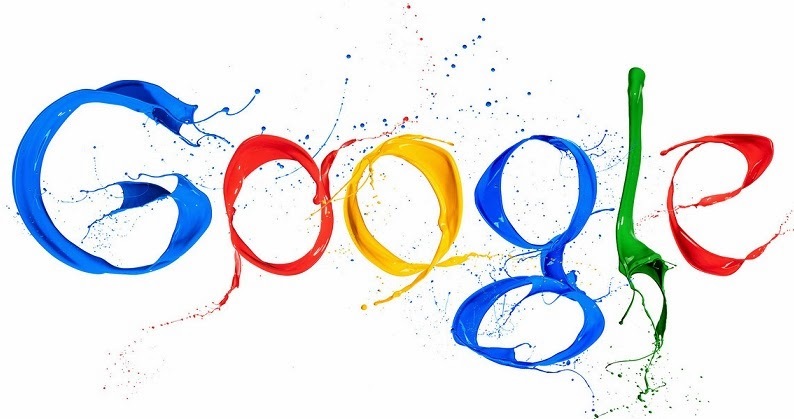 Now, you must be thinking - "how will I view my Google Account Activities ?" Just click on the Google Account Activity link above and you will see all of your Account history, you can check between any particular period of time by changing the dates. Also, you can tell Google to alert you via email when your Account Activity is ready on monthly / weekly basis. I hope you'll find this Account activity tool from Google useful. Cheers !! !